On Set. On Set. Wallpaper and background images in the NCIS: Los Angeles club tagged: ncis: los angeles on set marty deeks kensi blye g.callen. 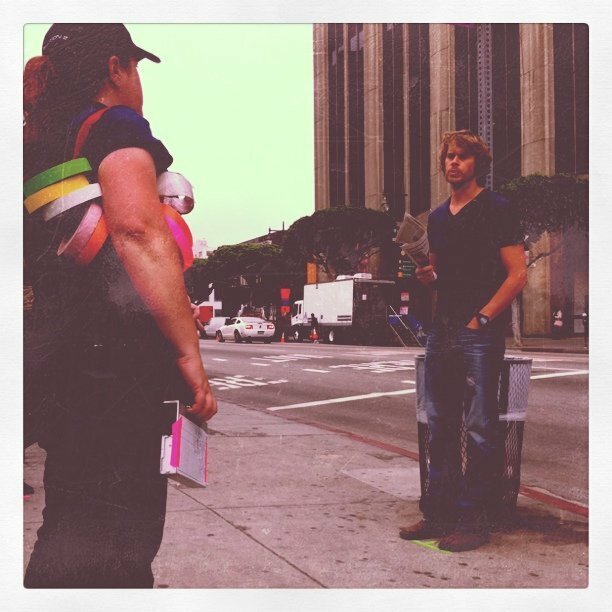 This NCIS: Los Angeles photo contains street, city scene, and urban setting. There might also be fedora, felt hat, homburg, stetson, trilby, long trousers, long pants, hip boot, and thigh boot.